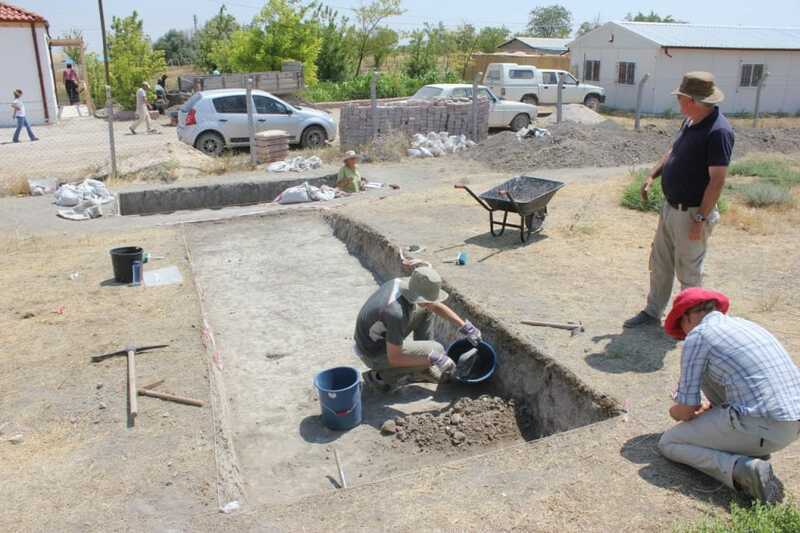 As well as developing new visitor facilities and an electronic recording system, work is of course in full swing across Boncuklu’s excavation trenches with our multi-national team working hard under a hot summer sun to uncover the site’s history. In Area L (above) the search continues for the edge of the site and to understand further its post-Neolithic history. 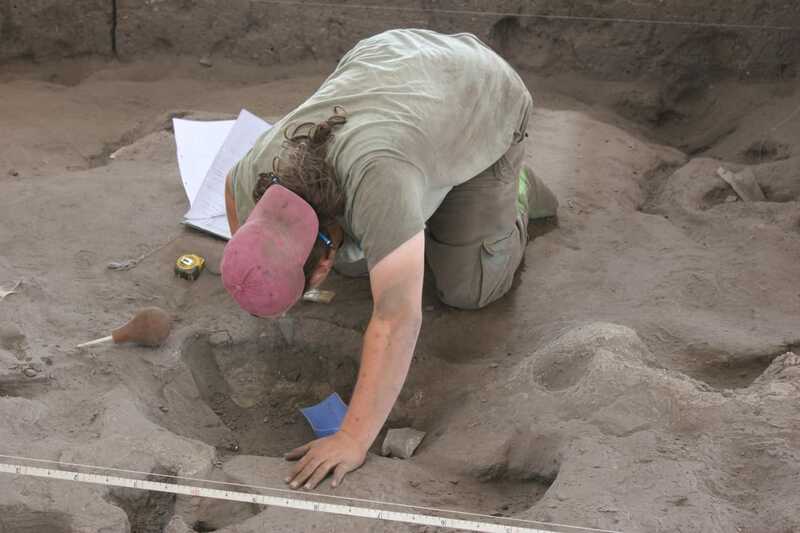 Features, first identified in 2013, are present c. 1.5m below the current mound surface and Jill continues to make sense of them, searching for good dating evidence. 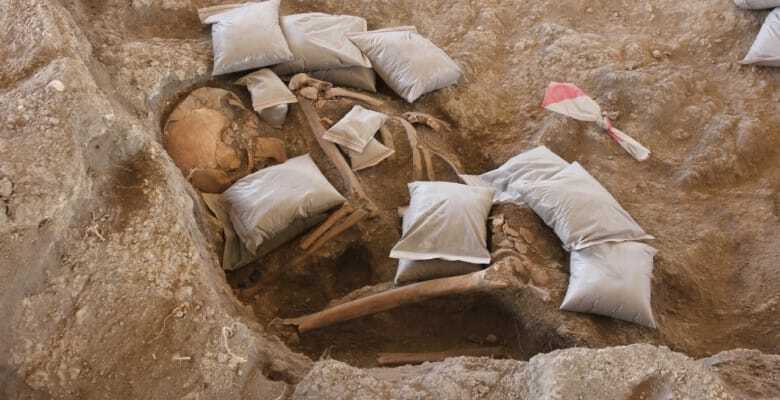 At present they could be anywhere from Neolithic to Early Bronze Age in date. The extension to Trench L is not yet showing any signs of in-tact archaeology and continues to contain only sediment washed down the hill, known as colluvium. In Area M (above) the broken floor of the outdoor working structure, first described in 2013, has been cleaned and fully exposed. The structure is different to the mudbrick buildings we usually find and we hope the 2014 season allows us to understand further its function: was it a light work-structure, a different sort of habitation or a special purpose building? In the deeper part of M we continue to excavate a series of rubbish rich ashy deposits – we call midden – cut by a series of pits. 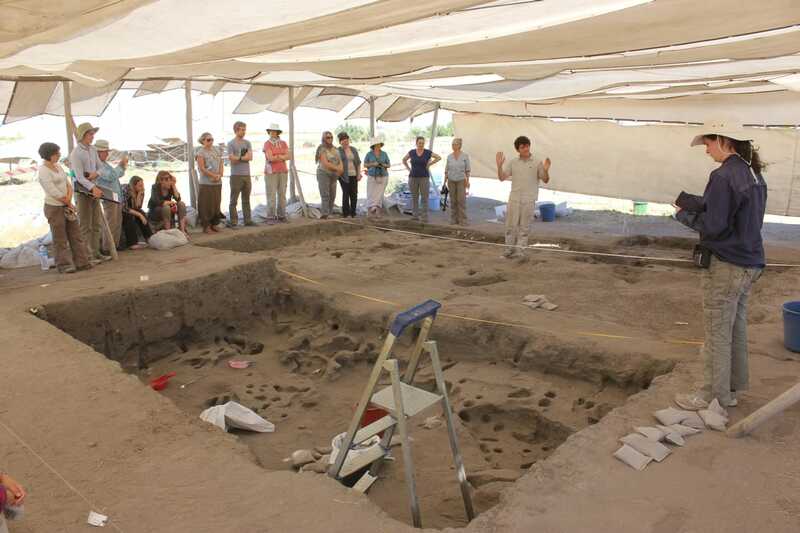 Last year we had a number of fragments of human remains in these pits and this pattern continues. Were these pits involved in the mortuary practices of Boncuklu’s inhabitants? In Area H the team is removing the last floors from Building 12 and may encounter some more burials. What lies beneath the depression Rich is cleaning above? Work in Area P (above)has now fully defined the outline of two buildings, first excavated in 2013, filled with mudbrick, and in the case of one filled with large quantities of animal bones. The bone deposit has now been removed to reveal a layer of burnt material, which we will now excavate to see if it is burnt roofing or flooring. 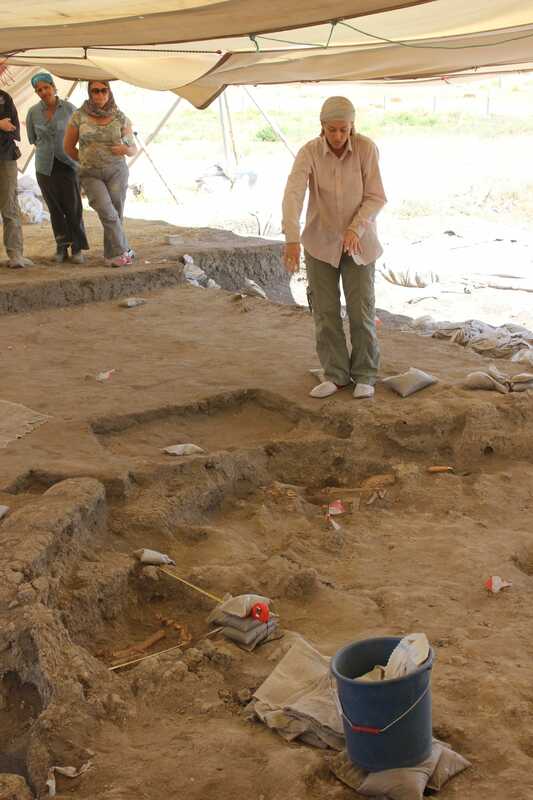 Two new burials have been found cut into the building fill, perhaps from a later building whose traces have otherwise been destroyed. They are carefully protected and supported (main image) to reduce damage while they are excavated and removed.